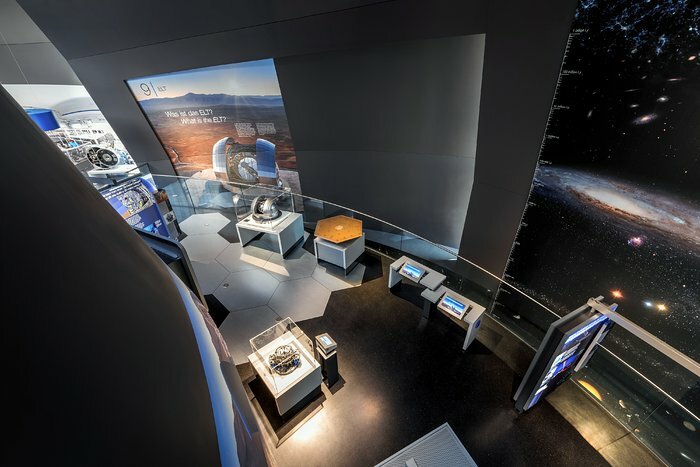 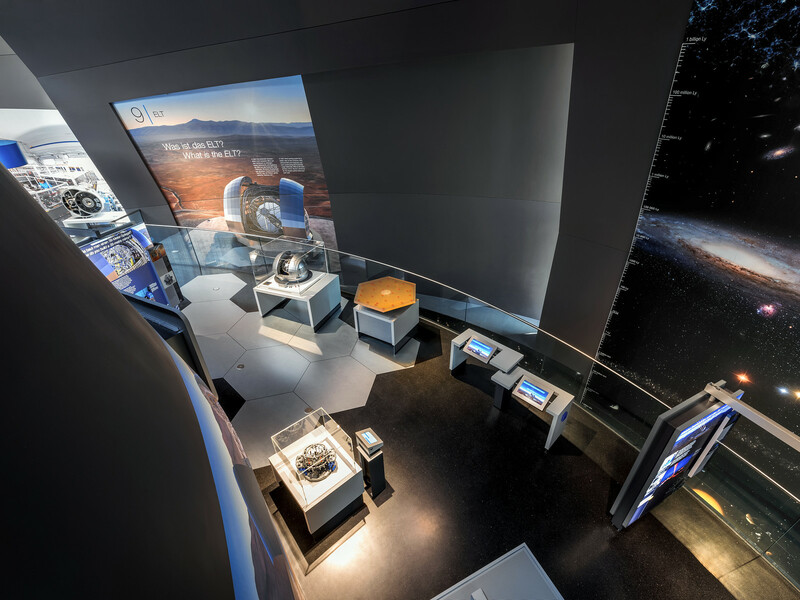 A view down into the exhibitions in the ESO Supernova Planetarium & Visitor Centre, specifically into a display centred around ESO's upcoming Extremely Large Telescope (ELT), currently under construction in Chile. Visible are models of the ELT and its components, as well as information about the telescope's design and mission. All of ESO Supernova's exhibits are free for anyone to visit to learn about the universe, our place in it, the history of astronomy, and ESO's work.